Daniel LaCamera has a little extra motivation entering the 2018 season. “I can’t wait to kick one (against) Alabama … and point over to him,” LaCamera said. “Him” in this case is former Texas A&M assistant coach Jeff Banks, who spent five years as the Aggies’ special teams coordinator before taking over the same duties at Alabama during the offseason. 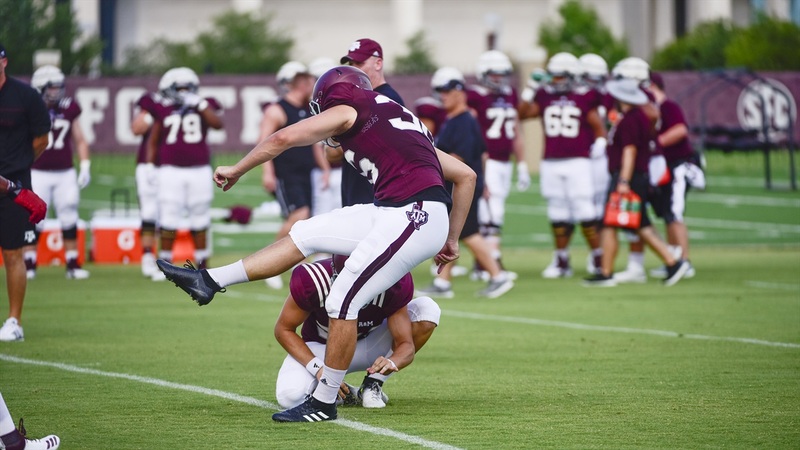 LaCamera heads into his senior year as an All-SEC candidate after enjoying a breakout season in 2017 under the guidance of Banks, drilling 18-of-21 field goal attempts and connecting on 12-of-13 in league play.